Pretty cool, right? It's just going to be a page at the back of the book where you'll see the words "A Writer's Journey" in the bottom left corner, but it's still awesome!! It's the A-Z Challenge and I'm continuing my theme of blogging tips by talking about blogging and Facebook. A couple of things need to be considered with Facebook. 1.Would you lose readers if you have your posts automatically go to your news feed? 2. Should you have a separate outlet to talk about your blog so you don't frustrate your friends? Personally I think it's okay to have your posts automatically go to your news feed. I use networked blogs and any friends who don't like to see my posts can block networked blogs so that it doesn't bother them. I also have a separate page that's not really for my blog, but more to concentrate on my writing stuff. I don't have my posts go there automatically becasue I figure that people who like my page are already my 'fans'. That page is more about quick engagement. I post something on my Facebook page Mon-Fri in a effort to connect better to my readers in an outlet where they don't have to come read a long blog posts. 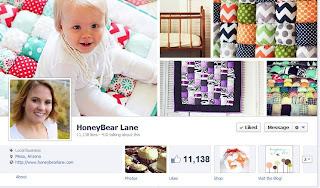 No matter what kind of blog you have, it's a good idea to have a Facebook page. A friend of mine from high school runs a craft blog and has a huge following on Facebook. No matter what you blog about, getting a Facebook page is a good idea to expand your platform. I've found lots of people following my page who don't follow my blog and who I don't even know personally. It's a great way to build your platform. Have questions about making a Facebook page or how it can build your platform? Leave me a comment and I'll be sure to get back to you! Yippee! Congratulations! How exciting :) I haven't touched facebook yet, and I'm fearing the day I do. It's already sometimes hard just to keep up with blogging, twitter and a forum or two. I have my blog feed to my Author Page on Facebook, mostly because I didn't want to bombard my family (who probably wouldn't understand what a blog is) with posts! Congratulations on landing in the anthology! And it's a handsome cover, too. As someone who posts daily on my blog all year round, I think it'd annoy my friends eventually. People on Facebook don't need daily reminders that I'm blogging; if they befriended me, they probably know it or will know it soon. 1-2 times a week at the maximum prevents nuisance, provided that you're sharing other interesting things along with it. I also think the big ingredient most self-promoters miss is not doing much else than self-promotion. I haven't entered the facebook realm with my writing stuffs. I keep that one for family/reg. friends and use twitter for writing. But reading this post now I'm wondering if I should set up an "author account" and start building that one too. hmmm. If I do I might have some questions for you. I'm not all that good with Facebook. Hmmmmm.....I just have a personal faceboo page at this point. But maybe, just maybe, you've convinced me to start a seperate writer page. Maybe. Thanks for sharing, I look forward to reading your blog! I keep two FB pages-- the "writer" person and my personal FB. Mainly, because I don't just want anyone seeing pics of my kids or my life-- that's for personal friends and family. Facebook is a great way to communicate both with fans and family. Congrats on your blog being mentioned in that book. It's so popular. 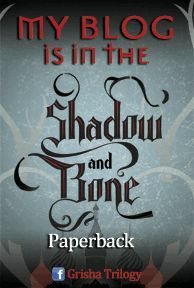 My CP is going to be listed in the Shadow and Bone paperback as well. So exciting, and such a creative thing to do. Congrats! I'm curious what your thoughts are on having a separate author page on FB. I want to keep things simple, and having one FB and one Twitter account is just about maxing me out on my social media obligations, but I notice a lot of authors do this. 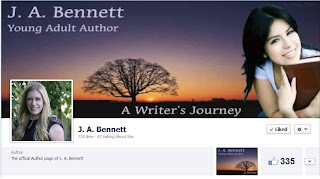 I had a personal Facebook page but just lately have created a public page for my writing. So far I have only 10 likes and followers. If my family and friends are not interested in following my posts they do not have to and the public does not have access to my private family photographs. I do need to work at developing this page. Facebook is a lot of fun, but for me it often keeps me from doing my writing...it's quite addicting. I have Facebook pages for two of my books, like collages of songs that inspired them, historical resources I used for research, etc. I've set up my blog so that posts automatically are posted to my feed, though most of my hits don't originate from Facebook. aww! you have my banner on your fb page! like like like! and love all your advice! biggest pet peeve, "please follow me back"
havent seen too many problems so far. its been great! woot for your honorable mention! Congratulations , how exciting . Thanks for the Facebook advice . I don't think my blog is connected to my Facebook but I really don't even know . I joined Facebook years ago to monitor my kids ( ha- they fixed that problem. Now they are all on Instagram and I have no idea about it) I connected with a lot of old friends from high school and college but I don't really use Facebook to promote my writing . I guess I should start. Wow, I've never even thought of creating a Page for my blog on Facebook. Thanks so much for another informative and helpful post.